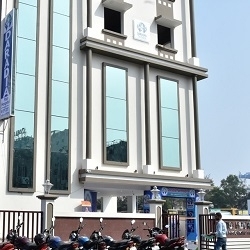 Daradia Pain Hospital, a unique 50 bed hospital for chronic pain management treats all kinds of chronic and incurable pain. But it also organizes workshops, short pain management courses and pain management fellowships for specialist physicians. Neurosurgeons, orthopedic surgeons, anesthetists from all over the world have joined different pain management courses. Kolkata, India, May 21, 2018 --(PR.com)-- Pain management is a specialty of medicine and this specialty is growing very fast over the last few decades. Earlier there were no good treatments for many painful conditions like cancer pain, back pain, etc. But now these conditions can be treated with long-term excellent results. Still, awareness is not adequate among the general public even in most developed countries. Daradia Pain Hospital is a unique, fully dedicated hospital only for chronic pain management with 50 in-patient beds with all ultra-modern treatment facilities. Many painful conditions like knee pain, chronic pack pain, back pain after spine surgery, headache, trigeminal neuralgia, different types of cancer pain, slipped disc, CRPS and neck pain are treated here without surgeries, using interventional pain management procedures. These interventions are ozone therapy, spinal cord stimulation, intrathecal pumps, radio frequency ablation, etc. Daradia pain hospital is not only treating patients of pain, but also training doctors. Specialist doctors from all around the world, like neurosurgeons, anesthesiologists, orthopedic surgeons come here and take training on different modern interventional pain management procedures. Daradia Pain Hospital has also started awareness and education for general and family physicians as well. They are organizing workshops, seminars and short courses on different interventional pain management procedures. Apart from short pain management courses, Daradia also organizes pain management fellowship of one year duration. Daradia Pain Management Hospital organizes short pain management courses for physicians tailored to one doctor.